Do you doubt your accomplishments? Do you experience a persistent internalized fear of being exposed as a fraud? The Imposter Syndrome is behind leaders’ and professionals’ lack of confidence. Leaders who rely on techniques in their relationships and have patterns of interacting which don’t help them emotionally connect with others. They may race ahead with their ideas leaving others behind, or have trouble expressing themselves succinctly when they are under pressure. Techniques such as the ‘feedback sandwich’ enable communication yet don’t address the real issue at heart. Leadership and change are synonymous. This means leaders are frequently doing things they haven’t done before. They create new behavioral patterns, respond to fresh challenges, and develop new relationships as they get things done. Many leaders lead in the absence of affirming feedback. They get on with the job in hand. Unless leaders learn to ‘read results’, they may have a sense of being out of their depth. Strengthening your ability to know how others perceive you and matching this with your own positive self-perception, AND knowing 1 – 2 areas to develop results in your psychological health. 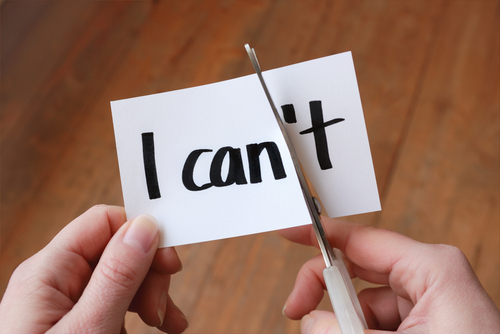 Develop positive self-talk: You’ve got this. You know what to do. You don’t have to do this on your own…who will I ask for help? Well, that didn’t work. What’s my next best idea? If you don’t believe in yourself, why would others?